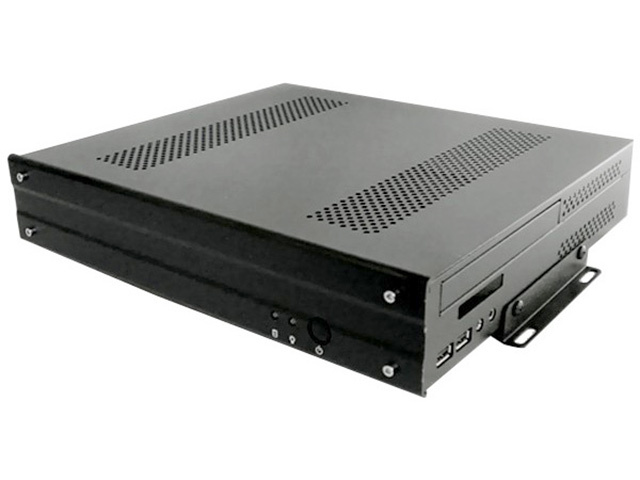 Stylish cold rolled steel Mini-ITX enclosure with extruded aluminum alloy front panel. 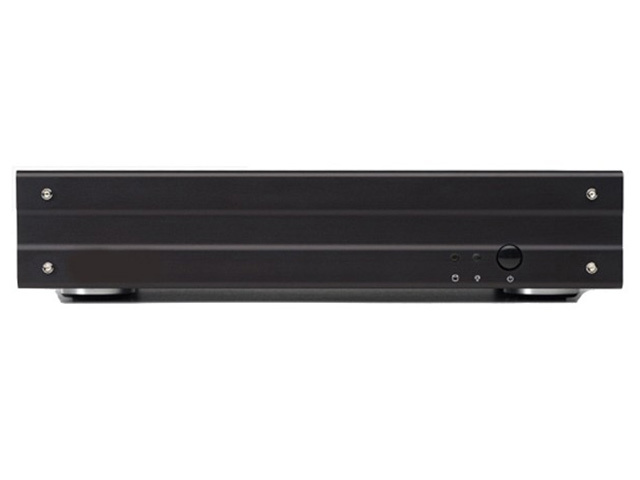 Front Panel: Power switch; Disk & HDD LEDs; 2x USB 2.0; 3x Audio. Rear Panel: 12V DC input (AC Adapter provided); 1x PCI/PCI Express Expansion slot (riser required); 3x DB9 push-outs on PCI plate (lower slot in second picture). Power supply: External 80W Universal 110/240V 12V AC adapter and internal 12V DC converter. Internal power connectors for 1x 20/24pin ATX Power, 1x 4pin 12V P4, 1x SATA, 1x Molex, 1x Floppy. Accessories: 2x L-shaped wall mounting brackets included. Supported Boards: Embedded Mini-ITX boards with ATX connectors and standard height heatsinks e.g. D2500HN, JNC9KDL, D425KT, D525MW, D410PT, D510MO, later model D945GCLF, D945GCLF2; Jetway Atom & J7F2/4K/5M; Zotac ION-ITX-B/C, Fusion Boards; VIA EPIA Boards. Power supply will work with socket boards only if <=35W TDP processor is fitted (e.g. i3-4130T). 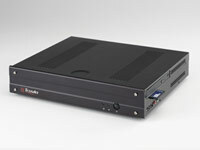 Slimline Optical Drive Compatibility: Slimline drives fit on a removable plate that sits partially over the rear of the motherboard. 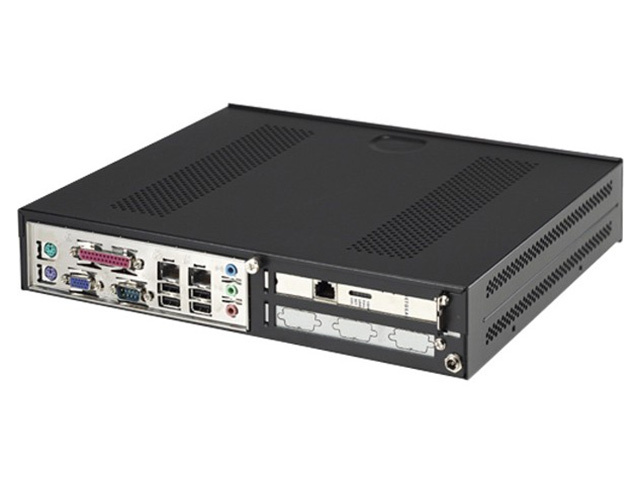 Boards with tall heatsinks at the rear or with standard height RAM positioned vertically (including SODIMMs) may meet this plate preventing slimline drive compatibility. Boards that are not compatible because of heatsink position include: Intel D410PT, D510MO, Zotac ION-ITX-A/D/F and NM-10 boards. *PCI/PCI Express Cards: Full height cards supported, mounted away from the motherboard. Please select PCI or PCI-Express riser as required from the menu on the left. Additional notes: PCI Riser card conflicts mechanically with LED connectors on JNF96FL-510 board.